Haryana state is situated in the north India. It was carved out of the Punjab state on 1st November 1966. Chandigarh is the capital city of this state. It is counted among the one of the wealthiest states of India. As per the census 2011, the average literacy rate of Haryana is 75.55%. There are various reputed management colleges and institutions that are located in Haryana such as Indian Institute of Management (IIM), National Institute of Technology (NIT), etc. 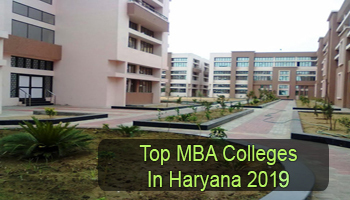 Through this article, students can check the list of Top MBA Colleges in Haryana 2019. Sarvgyan.com is presenting a list of top MBA colleges in Haryana for the session 2019-20. Here we have listed the IIM, NIT & many other government and private colleges of Haryana state. This list has been rated after a deep analysis on various educational factors. The colleges have been rated on national importance, quality of education, placement statistics, college affiliation and approval, infrastructure & facilities provided by colleges, faculty ratio, etc. Students seeking for admission in MBA course in Haryana can apply through entrance test. Firstly, candidates have to qualify the entrance exam organized at national or university level exam. Students can appear in the CAT, MAT, XAT & CMAT examinations to get admission in management courses. For admission in IIM, it is mandatory to qualify the CAT examination. 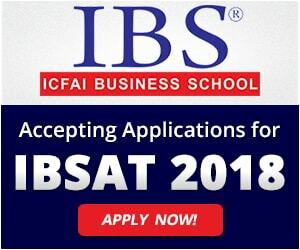 Students can appear in the IBSAT exam to get admission in IBS Business School. MBA programme is offered in a number of specializations. 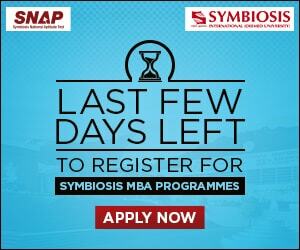 Top MBA specializations are Human Resource Management, International Business, Marketing, Information Technology, Finance, Supply Chain Management & Logistics. For any other queries about Top MBA Colleges in Haryana 2019, you can ask us by leaving your queries below.